Become a Divemaster with Pro Dive Magnetic Island. We are renowned in the industry for producing high quality dive professionals through our personalised programs, tailor-made for each individual to provide them not only with the best training but also real-world experience. 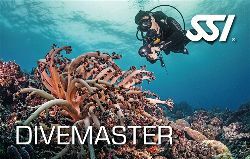 As a Divemaster you will be certified to supervise recreational diving activities, lead certified divers on boat and shore dives and assist Instructors on dive courses. As a qualified Divemaster you can also proceed to Assistant Instructor and Instructor level training. Give underwater tours to certified divers. Gear hire – All Dive Professionals must own a Total Diving System of professional type and quality. Pro Dive offers discounted packages to all it’s Dive Professional trainees.